This limited edition book is signed by authors Craig Kodera and William Pearce. Some of the most significant engineering and technological breakthroughs of the 20th century centered on the development of piston aero engines from 1920 to 1957. This book explains in detailed, well-illustrated, and easy-to-understand terms how these piston-powered radial-engine airliners advanced rapidly. The aircraft originated with fabric-covered fuselages with wooden wings and morphed into all-metal Ford Trimotors as the world's first true modern airliner, the Douglas DC-3, long-range four-engine transoceanic flying boats. Finally, the ultimate Queens of the skies Lockheed Constellations, Douglas DC-7s, and Boeing Stratocruisers flew at the zenith of the piston age in the mid-to-late 1950s. Many magnificent aircraft bridged the gap from small single-engine airliners carrying six passengers in the 1920s to large long-range, four-engine landplanes carrying 60-to-80 passengers and linking all the world's continents by air in the 1950s. 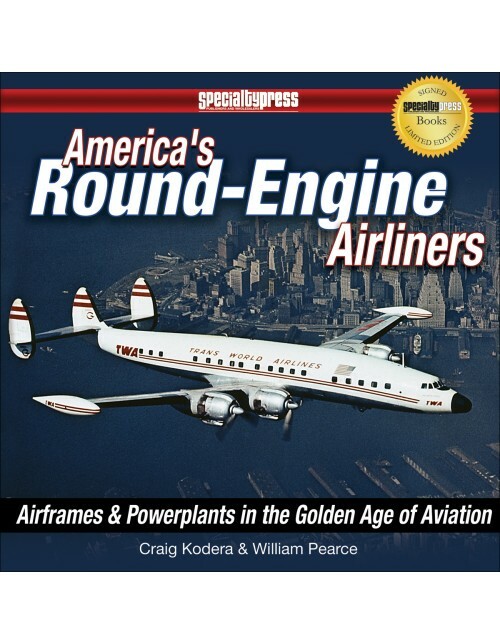 This book not only traces the technical evolution of every radial-engine powerplant used over that time span but also includes interesting and fact-filled sidebars that detail what it was like flying aboard each generation of these aircraft. 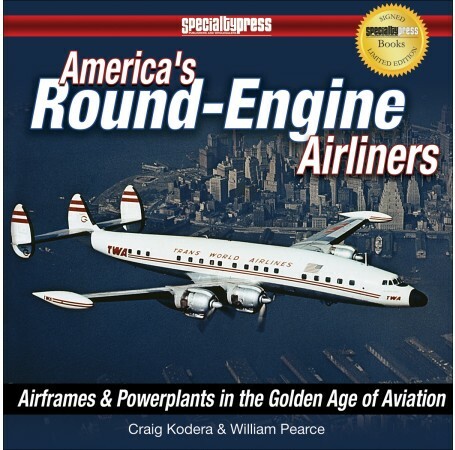 In 1948, the largest radial piston engine ever produced entered airline service, the mighty 3,500-hp 28-cylinder Pratt & Whitney R-4360; it is one of 12 different radial engines covered in-depth by the authors of this book. With one author having been an airline pilot and the other an air racing enthusiast and lifetime member of the Aircraft Engine Historical Society, this book offers readers the best of both worlds. Colorfully illustrated stories of flying aboard the world's greatest piston-powered airliners are interwoven with detailed yet easy-to-understand descriptions and graphics showing the intricacies of high-performance piston radial engines. The advancement and success of America's air transportation system can be linked directly to the concurrent growth of long-range, high-speed airliners and their revolutionary powerplants, and this book tells the compelling story of aviation progress and development for the very first time. Craig Kodera has lived a life immersed in aviation as the son of an engineer for Douglas Aircraft. Craig realized his dream of becoming an airline, pilot having flown for both Air California and American Airlines, and also served as a transport and tanker pilot in the U.S. Air Force. Additionally, he is a world-class aviation artist whose artwork has been published by The Greenwich Workshop and who counts among his commercial aviation clients McDonnell Douglas and Airbus Industrie. William Pearce's interest in aviation began at a very young age when he lived at a fly-in community with his parents. William is a mechanically minded individual whose primary interests are aircraft piston engines, vintage World War II aircraft, and air racing. He is a graduate of Cal Poly San Luis Obispo, a lifetime member of the Aircraft Engine Historical Society, and crew member for a record-setting air racer. Over the years, he has amassed a large collection of aviation literature and related information. William wrote and published Duesenberg Aircraft Engines, and has published more than 150 articles on his website at www.oldmachinepress.com. He lives on California's central coast with his wife and children.